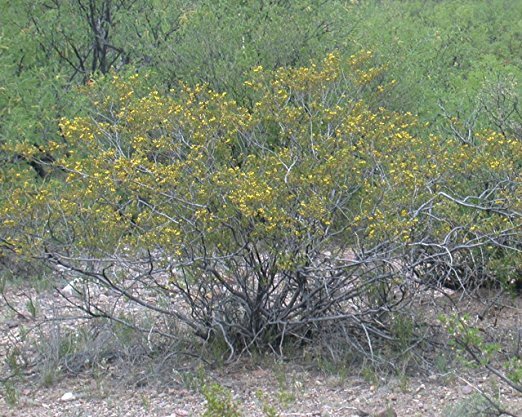 Chaparral, also known as creosote bush and jarilla hembra, is a strong healing herb. It is famous for curing the incurable. It is tough to guess its potency just by looking at it, as it has small leaves. But, herbalists reveal that they have exceptional healing abilities. They cleanse your body and protect you against many deadly diseases. This herb grows in the deserts parts of the American Southwest. However, you can easily find them in the lands of Mexico as well. Many studies claim that it is one of the oldest herbs on planet Earth; over 11,000 years old. Our ancestors have counted on it to alleviate many health issues. Even today, it is a well known medicine in the herbal field. Although, this herb is obtainable in many types, but one of the most popular types is dried herb. Herbalists use dried herb in tea to avail its core benefits. The chaparral has many benefits, but people call it ‘the cure for incurable’ because of its anti-cancer properties. It is anti-tumor agent, nor-dihihydroguairetic (NDGA), and inhibits the energy producing ability of cancer cells. Moreover, it also slows down cell proliferation and doesn’t let the disease cause any damage to DNA. But, this is just the tip of an iceberg. Chaparral contains numerous other properties that give this herb an edge over other herbs. For example, it has Tricyclic Lignans compounds, which are anti-HIV agent. They are immensely powerful and known as a natural anti-viral treatment option. In addition, this herb can be used for alleviating rheumatic pain, stomach pain, chicken pox, and snake bite pain as well. In 1943, US War Food Administration approved this herb as a food antioxidant. Later, it has also been promoted as a blood purifier and weight loss agent. But experts don’t recommend this herb for patients with poor kidney functions and pregnant women. Properties: Anti-cancer, anti-HIV, treats acne, cures diabetes, promotes weight loss, purifies blood, prevents skin infections, heals minor wounds, alleviate arthritis and back pain. It also treats urinary tract infections, menstrual disorders, & premenstrual syndrome. WHERE DO I BUY MY CHAPARRAL? You can buy my favorite brand - Best Botanicals and get it in powder form here. You can also buy in extract also but buying the powder and making your own mixed capsules is best. The chelation formula is cascara sagrada, rhubarb root and prodijiosa.